A big part of truck driver training at trucking schools is preparing our drivers for life on the road. There are many conditions that a truck driver will encounter at some point that make having a perfect truck driving record a great achievement. Recently the Ohio Trucking Association named Keith W. Long, of Zanesville, as one of the 12 best truck drivers in Ohio as a result of his accident and violation free driving record according to the Zanesville Times Recorder. During Long's 33-year truck driving career he has driven over 4.4 million miles without an accident of any kind or even a moving violation such as a speeding ticket. He is a driver for The New Bakery Company of Ohio and has been there for most of his career. His exceptional driving record also earned him the OTA Driver of the Month Award one time last year. Long said he wanted to pursue a truck driving job ever since he was a child. He officially started his truck driving career at age 23 and has been driving accident free ever since. Being a company that specializes in truck driver training and placing drivers into trucking careers, it is very rewarding to read articles about drivers like Keith Long. 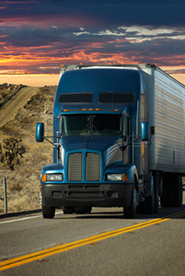 Do you know other truckers with similar accomplishments in their trucking careers? We'd love for you to share their story in the comments section below this post.